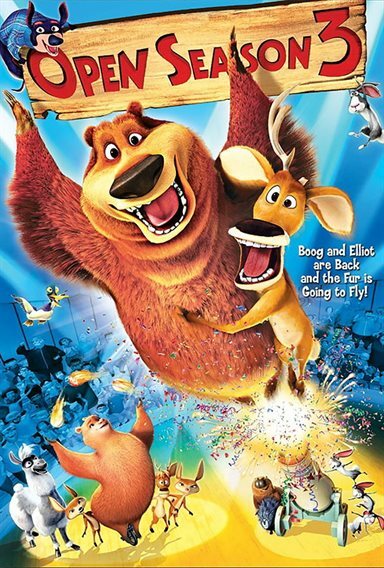 After the events of Open Season 2, Boog plans an annual hunting trip for his woodland buddies but they choose family obligations which made Boog take a trip on his own leading him to a circus. He meets with Alistair a devious grizzly who wants to get out of the circus so he convinces Boog to switch places for his life in the wild for Alistair's place at the circus. While attending, Boog then falls for an alluring troupe member. Then the greedy circus ringmaster takes advantage of Boog by causing him misery and humiliation. When Boog's pals finds out about his disappearance, they hatch a rescue mission to rescue Boog and his true love. Download Open Season 3 in Digital HD from the iTunes store. Open Season 3 images are © Sony Pictures. All Rights Reserved.